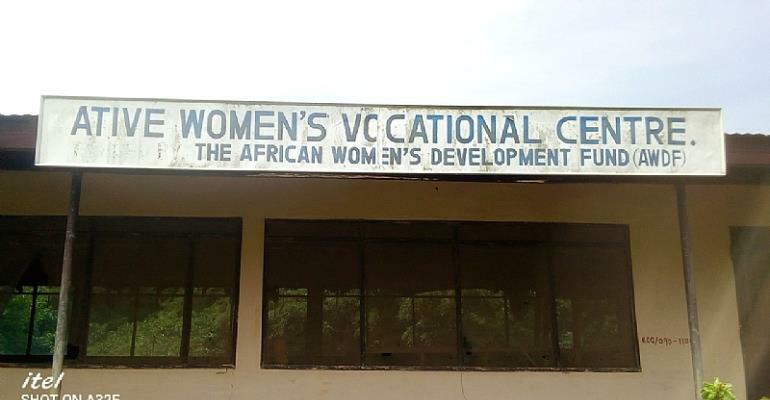 The Ative Women's Vocational Center was built and commissioned in 2004 by the African Women Development Fund (AWDF), as a permanent center for the training and empowerment of women especially, Trokosi victims and their children, within the Ketu North and South Municipalities, Akatsi North and South Districts and other closer communities in the Volta region. Checks have revealed that the facility has been abandoned and left to rot for quite some time now. The program was brought to the community in 1998 by the International Needs Ghana, to alleviate the poverty situation of the women -trokosi victims and their children. 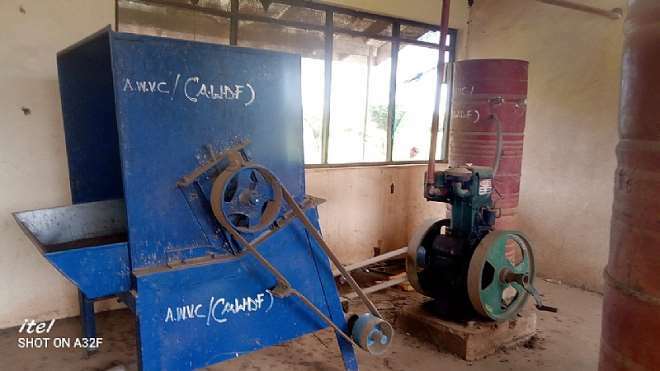 The beneficiaries were initially trained at Adidome, in the Central Tongu District and brought back to the communities to establish and sustain themselves for a livelihood through various vocations. The beneficiaries were trained in bakery, sewing, powder and pomade making, bead making, Kente weaving, knitting, batik, tie and dye, among many other vocations. Each of the beneficiaries upon return was given a start-up capital and machines to begin work, but they never last. The facility which has about 6 spacious and well-furnished rooms in addition to a toilet facility, a counseling unit, and an office space, has since 2006 been abandoned by the over thousands of these beneficiaries. 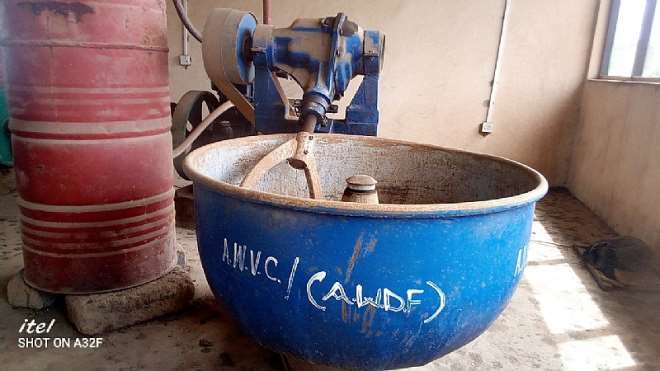 According to the former Assembly member for the area, Mr. Bismark Sampson Bedzrah, many of the women could not sustain the business as a result of the unavailable market for their products. "A lot of our women were trained in bakery, hairdressing, knitting, Kente weaving et cetera, and settlement items were given to them for a startup and to establish themselves. But none of them is here today; the problem is the unavailable market". "They began work so well on their return, but most of the things they produced couldn't sell because there was simply no market. This situation pushed them out of business and the place has since been left empty from somewhere around 2006/07." He told a news team on a visit to the center on Friday that, several of these women still produce on small scale basis within communities and are still interested in returning to the center, if it's re-established, with enough support. He added that the only way the training center can be revamped is for the government, to support with teachers, who would be paid to continually admit and train women from far and near at the center. "It's our hope that government takes up the facility and employ teachers who would be paid to teach here, and to ensure that the school continues to admit women for training". The news team spotted equipment two manpower corn mill machines, a baking mixture machine, and bowl, an electric oven, which are far rusting. Another challenge of the Ative communities with a total of about 3,500 residents is the lack of portable water. There is only one functioning borehole at Ative Dome, that the other three communities; Ative Minawokorpe, Korpeyiame, and Bame draw water from. 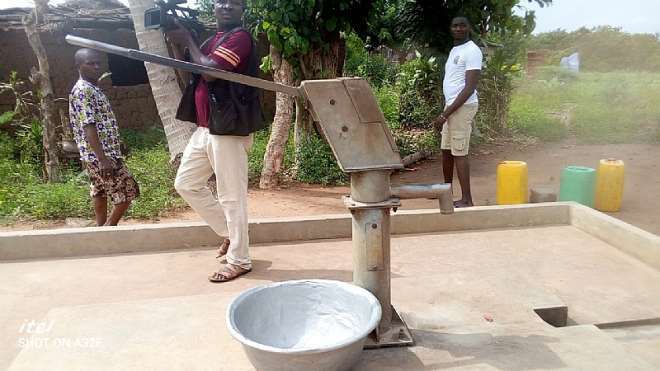 According to Madam Lugushie Dagba, a resident, the borehole gives just about 10 bowls of water in the mornings and 10 more bowls in the evenings, which is woefully inadequate to the demands of the village folks -a situation that becomes dire in the dry season. "We hardly get more than 10 bowls of water from this pipe in the mornings. In the evenings too, it is almost the same story. But we come here for more than ten, and a lot of people are left to go home without water. The situation becomes worse during the dry season". The only alternative source of water is a dam, almost two or three miles away from the communities, which they share with free grazing cattle. Whiles residents hope that the Vocational Training Center is revamped, the water situation in the area is another matter of concern.